We believe the key foundation for success is a very strong climate for learning, supported by high attendance. We have purposefully created a culture of ambition, based on very high expectations of students’ behaviour, attendance and ability to learn. We rigorously monitor these on a daily basis and intervene immediately to overcome any barriers by, for example, providing uniform, equipment or transport. Our systems for monitoring students’ welfare and progress were described by Ofsted as excellent. We also believe that, with the best teaching and support, all students can achieve in a wide range of subjects. Our strong core academic curriculum is enriched at KS4 by free choice from an extensive range of academic and vocational courses. We provide additional support through, for example, summer schools, small group or online tuition. Throughout the school, we anticipate and remove any potential barriers to students’ participation in the wealth of arts; sporting, social and cultural visits and activities we offer. We have Pupil Premium Champions in all three core subjects, their role is to monitor Pupil Premium progress through our assessment and data tracking points, provide timely support and intervention, and update their teams regularly with regard to current research and initiatives. Furthermore, they provide our disadvantaged students with enrichment opportunities which enables them to access learning outside of the classroom as well as ensuring equal access to resources. Our ethos of high aspirations is further embedded in all our teaching and learning. Well planned, challenging lessons ensure all our students’ needs are met. This is supported by accurate assessment and quality feedback, which insists on a student response. We are currently using the Education Endowment Fund toolkit research findings to improve this further. 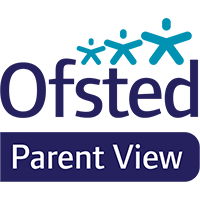 Our rigorous tracking of progress was described as “excellent and meticulous” by Ofsted. This enables us to intervene swiftly and creatively to maximize achievement, for example by providing, one to one tuition or morning mentoring. We also invest significantly in our staff. Our strong professional development programme focuses on developing excellent teaching and learning and is based on researching, sharing and implementing the best practice. At Belmont equality of opportunity has a high profile and we are all Pupil Premium champions. Our fundamental belief that students’ experiences and achievements should not depend on their parents’ or carers’ income is at the heart of everything we do. We believe we show that, by working together with a clear vision, we can ensure poverty is not a barrier to achievement.